Price is plus VAT, but in most cases the buyer would be VAT exempt, please call to discuss. Free Delivery to the UK (except some Scottish Highland areas and Islands which may incur a small charge, please call if you are unsure). We do sell our baths internationally but please contact us for a shipping quote as prices will vary depending on your local. The popular Ambiance walk in bath combines high-quality design with attractive styling for a safe and comfortable bathing environment. The proven outward opening door technology features a generously wide and uncluttered doorway providing unrestricted easy access. 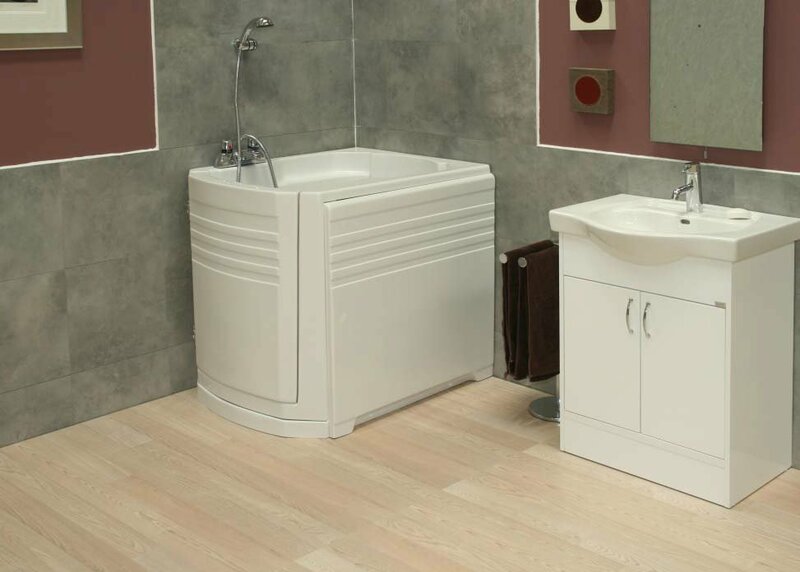 Just walk in and sit down on a raised integral seat for a deep soak bath or shower. Left or right hanging door option. Wide walk through door with low step. Contoured moulded backrest, armrests and integral upright seat for comfort and support. Dual wastes for fast drainage and safety. Optional hydrotherapy spa for relaxation and general well being. Optional seat extension for increase height. Left-Hand Door | Right-Hand Door. All prices include delivery, waste kit and end panel. Price is plus VAT, but in most cases the buyer would be VAT exempt, please call to discuss. Add this bath to your shopping cart or alternatively you can download an order form and post your order to us here.